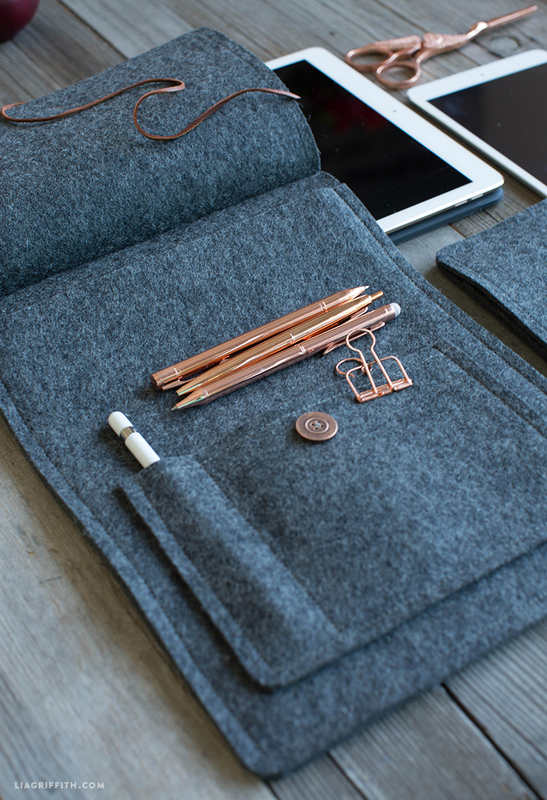 Our gorgeous felt tablet cover is ideal for keeping your iPad, Kindle or tablet safe and clean. Made using 3mm wool felt from A Child’s Dream online shop (shop this project below! 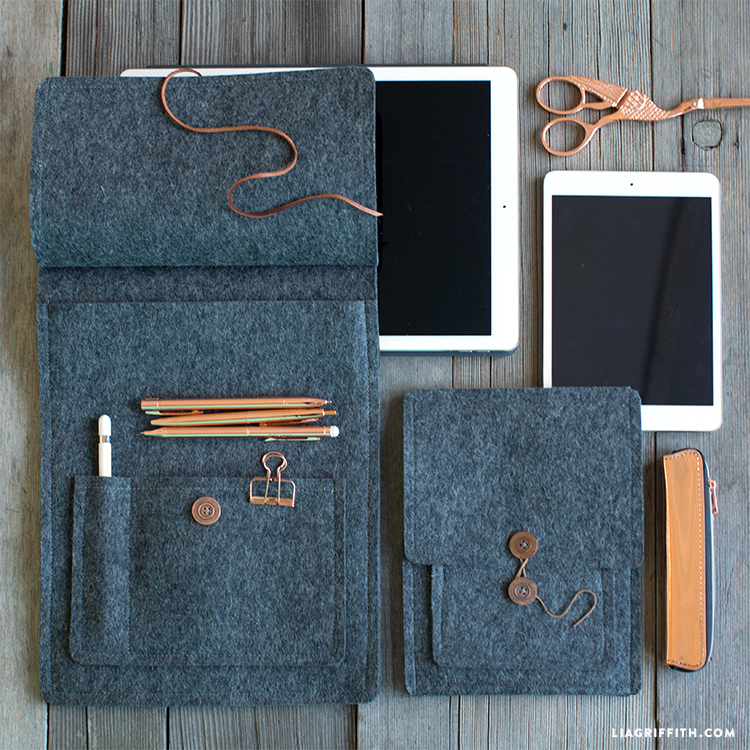 ), our DIY tablet cover is perfect for both men and women, and can be customized in any way that you want. 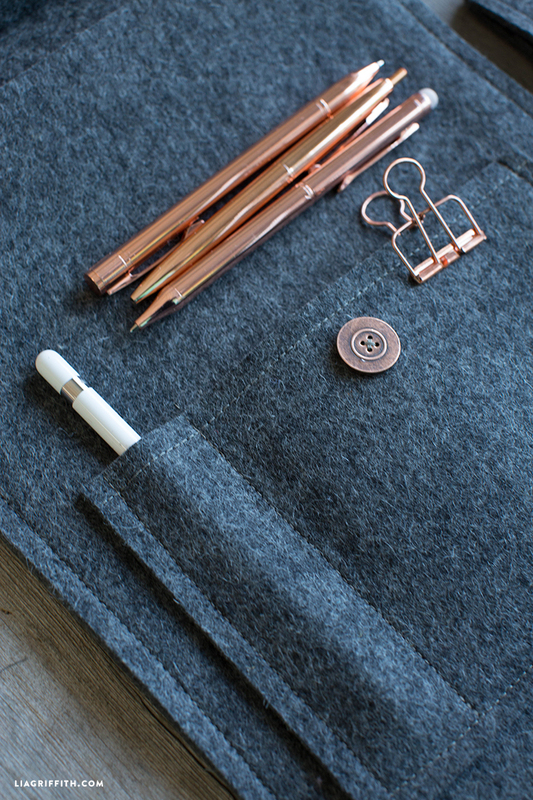 You can add a pop of color to the front by choosing a contrasting felt for the pocket. Pick out a bright thread for the stitching or mix it up by using found buttons to fasten this gorgeous handmade case. This is a machine stitched tablet case but perfectly suitable for beginners! I have designed a pattern for three different sizes of tablets that you can download and print onto 11×17 paper. To make this starter project even simpler, you can follow my step-by-step photo tutorial below. Hi, the link for a large pattern simply brings me to the small pattern… help! Seems that I missed this project in Dec. Just saw it today. A nice gift idea. Thanks for the heads up, the downloads have been updated! The large tablet cover tablet pattern opens as a small pattern when I click on the link above. Medium and small links seem to be accurate. Or am I missing something? I couldn’t see the pattern, where can I find it?